Iceland has a number of attractions that seem infinite and change throughout the year, travel to Iceland in the winter is completely different from knowing it in the summer (you can see here our post on the best time of year to visit Iceland). One of the images that also mark Iceland (there are so many) passes by when the sun begins to invade the island and the scenery is filled with beautiful and strange purple flowers that fill the horizon in carpets that seem infinite. These wonderful carpets are just another of the huge contrasts we find in Iceland. We easily think of Iceland like a bit of the moon on the planet Earth, with its deserts of lifeless volcanic rock. Iceland is also characterized by its glaciers and miles of ice, as well as the image of fire, for who has not heard of the volcanoes of Iceland? But Iceland has always more, much more to offer, and there are also immense fields of a beautiful plant that extends on the horizon for miles, named Lupine Flowers. When we made our plans to do the Ring Road in Iceland (you can see here our itinerary), one of the attractions we wished to see was the Lupine Flowers Blooming, so we started a search to know where to look for lupines and when we could see them, and now we want to share our knowledge now. 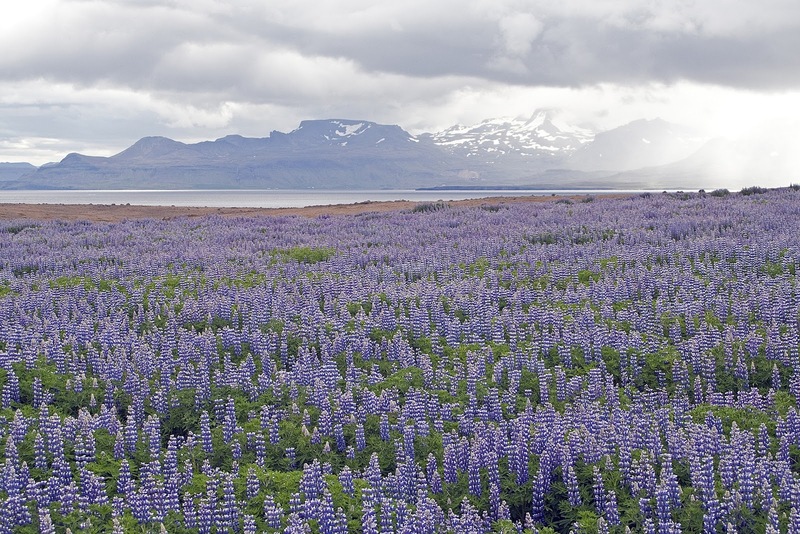 HOW DID ALASKAN LUPINE END UP IN ICELAND? 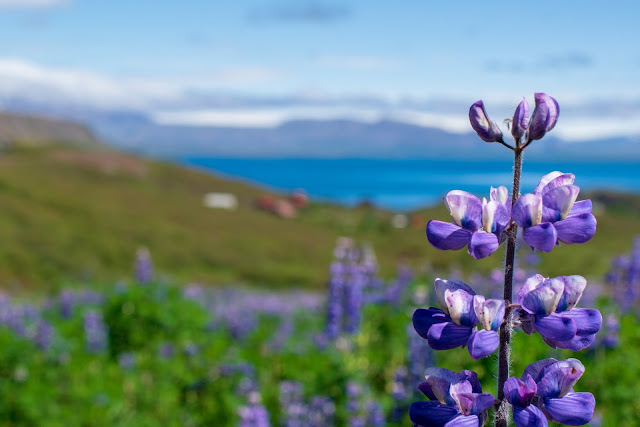 First of all, we want to talk a little about this plant, whose most concrete name is Alaskan Lupine and, as the name implies, was brought from Alaska. And the reason they brought it to Iceland was the attempt to fight the erosion of the island's soils. If we now have the idea of Iceland as a land without trees, this was not always the reality. In spite of the inhospitable climate, several trees manage to survive the low temperatures, especially coniferous trees but, not only, so that by the time the first Vikings reach Iceland, it is known that a considerable part of the territory was occupied by forests, unlike the present situation. But since the beginning of the island's population, trees have been cut down more than the natural regeneration of the forests could replace, which has led to a huge erosion of the soils that, added to the volcanic eruptions, to the strong wind that characterizes the island , together with other issues, contributed to the poor quality of the soil and the almost absence of trees all over the island. Unhappy with the situation, in the mid-twentieth century it was thought that importing Alaskan Lupine would be a good way to combat this soil erosion, because it is a plant that easily spreads on hard soil and, has also the benefit of, unlike many other plants that take nitrogen out of the land, Alaskan Lupine instead contributes to the increase of nitrogen levels in the soil, fundamental to the quality of the same. However, a solution that seemed to be perfect might not be, since propagating so quickly and so easily has contributed to the fact that other endemic species have declined in number on the island and may even disappear. 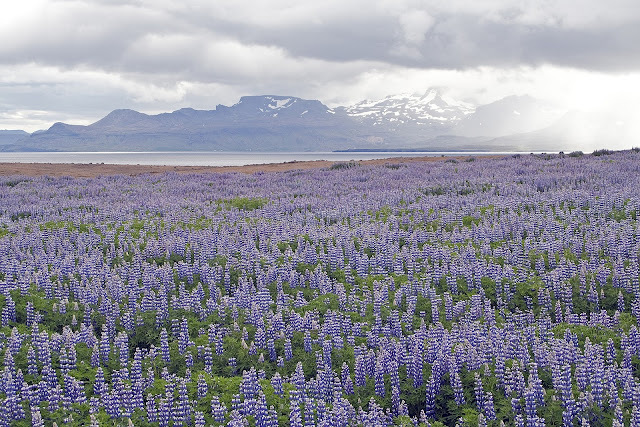 In this sense, there is no consensus at present time that the introduction of Alaskan Lupine in Iceland has been positive or not, and its implication in the biodiversity of Iceland, but what is known is that more and more Iceland is covered of a wonderful purple rug in some months of the year. One of the good news about the near disappearance of forests is that Iceland has also made a huge effort to increase the number of trees in the country, and thousands of trees have been planted in the country for many years in areas that are most likely to survive, because this is not an island where the survival of the trees is easy and, thanks to the cold climate, its growth tends to be very slow. We invite you to watch this video, in which an Icelandic environmentalist talks about the erosion process that the country is going through, as well as the importance of the reforestation process, and gives a sign of hope and positivism to overcome this problem. WHEN TO SEE ALASKAN LUPINES? 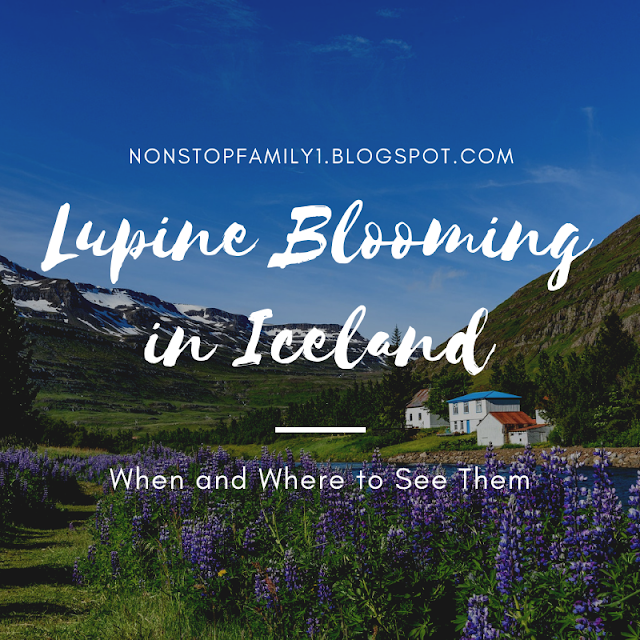 Well, we leave the question of whether the Alaskan Lupine is beneficial or not to Iceland to the Icelanders who, better than anyone else will know what is best for them and, talk about the reason for our post, when and where to see the Alaskan Lupines? As for when, the answer will be late spring, early June, especially in the month of June you are most likely to see this show of purple color. But in addition to June, throughout the summer you will have great chances to find this beautiful plant, which is increasingly part of the iconic images of Iceland. So, the answer is easy, when the summer and the big days come to Iceland, the chances of founding Alaskan Lupines increase highly. WHERE TO SEE THE ALASKAN LUPINES? Having already answered the question of when to see the Alaskan Lupines, let's talk about where to see them. And that is the easiest answer as you can see them all over Iceland, especially if you go to Ring Road (click here to find out more about Iceland Ring Road). The idea is to walk carefully and along the road, and there will be plenty of dozens of purple fields filled with this beautiful plant when in bloom. Just do not forget the safety rules, stopping the car by the side of the road is one of the biggest causes of accidents in Iceland, always stop only in the appropriate places, never jeopardize your safety or that of other travelers. 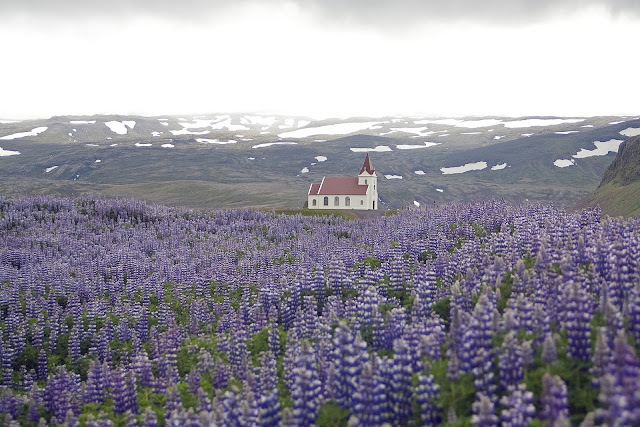 In short, as long as you go for a walk in Iceland in the summer, the chances of finding the Alaskan Lupines in bloom are immense, just go out and ride the Route 1, you will inevitably find them and, you will love it, for sure. We hope you enjoy your trip to Iceland, you can discover more about our road trip through Ring Road following this link, and do not forget to leave your comment and, if you liked our article, share it with your friends, and be sure to visit our Non Stop Family Travel Blog again. A holiday in the mountains is always something very appealing and attractive. However, something that sometimes frights parents of children preparing to travel to high places, is the so famous Altitude Sickness, also known as Moutain Sickness or, if you go to Peru or Bolivia, as Soroche. 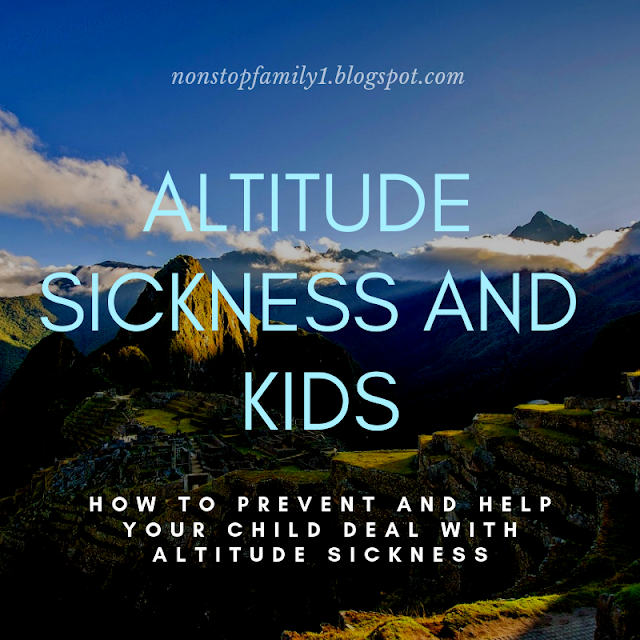 No one wants their holidays spoiled and, in particular, no one wants their children to suffer any discomfort, particularly in this situation, from the consequences of Altitude Sickness. In our case, what led us to investigate this occurrence was the trip to Peru, in particular to Machu Picchu, which led us to try to collect as much information about Altitude Sickness, trying to know what it was, what caused it, how to prevent and, more than in the case of adults, what would be the reaction of the children because, as usual, our son, 7 years old at the time, would accompany us on this trip. Suddenly, everyone awoke to a little corner of Portugal, a beach unknown to many, even the locals, called Praia do Norte, right next to the most famous beach of Nazaré. And, why this happened? 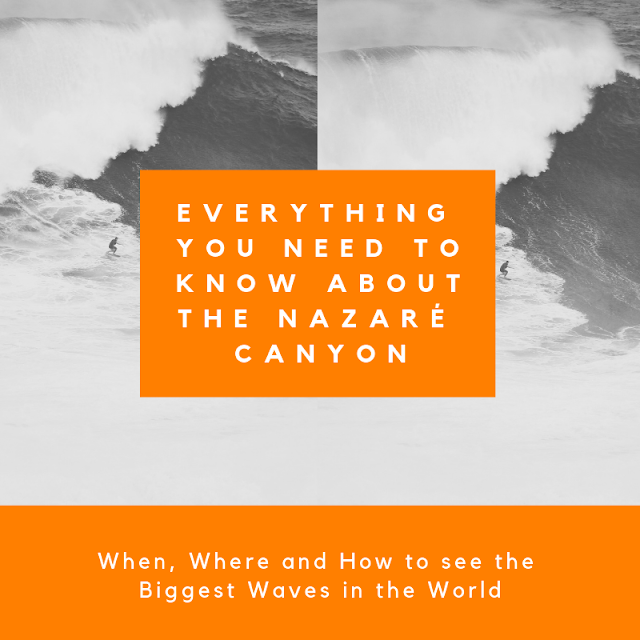 The answer is easy and, it's due to what is described in Forbes as the Greatest Show on Earth, the Nazaré Canyon, capable of producing what for many is considered the greatest waves in the world, and it's the place were the world record for the largest wave ever surfed was made, right here on Nazaré beach. It was on November 1, 2011, that Garrett McNamara introduced Nazaré and his Canyon to the world by surfing the largest wave ever surfed in the world, with 23.77 meters high, an instant Guinness World Record.